Starting a few minutes ago, new sign-in attempts to Messenger are being rejected and depending on your account, you’ll now receive either error code 81000305 or 80004005. Normally during the sign in process, the client and the server will negotiate the version of the protocol being used to access the service, but unfortunately the server is now rejecting the major versions of the Messenger protocol up to 18 (used by Messenger 2009). With that said, Windows Live Messenger 2012 is still working over HTTPS. If you need Messenger access right now, please either install Messenger 2012 or use the Messenger client in Outlook.com. UPDATE (Feb 26/2015 18:24 EST): A workaround is now in place as one of the servers hasn’t been updated yet, but it most likely will not last long. As this workaround is being done on the server side (DNS), depending on your ISP, it may take several hours. Some accounts will still not be able to connect. Posted on February 26, 2015, in Messenger, MSN Messenger, News. Bookmark the permalink. 34 Comments. WLM 2008 here. I was connected all week long. Today I’m getting error 81000378 (contact list not available). I signed in to my live.com account & see some few recent IMs there. 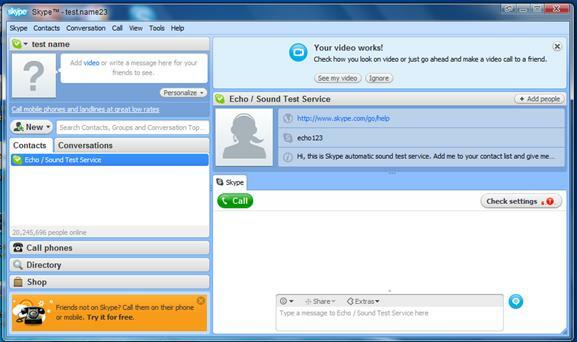 There’s one contact–I have no idea what/who it is: “Echo / Sound Test Service.” ???? Anyway, I’ll see if the live.com site works come next week. Thanks so much, Jonathan, for all your hard work. @Tseki, thank you. I suspected something like that! Live Messenger 2012 not working anymore. Or is it just me?